Herman Ebbinghaus, a German psychologist proposed a theory in 1885 known as the ‘forgetting curve’. According to this theory, around 70% of memory is lost in the first 24 hours if you don’t make any attempt to retain it. KPMG in a report titled “India’s Compensation Trends Survey 2018-19” found that the average annual voluntary attrition across sectors is 13.1%. This further goes up to 18.5% annually in the retail sector. The survey is validated by 272 organisations across 18 sectors who participated in it. A CEOs and CFOs survey done by Colombia Business school highlights that 50% of the executives agree to the fact that work culture is a significant contributor to their productivity and profitability. According to another report by Deloitte Insights on Culture and Engagement, 87% agree that it is still an ‘important challenge’ to them. The above numbers may seem quite alarming to you and perhaps rightly so. Being in the HR industry for more than half a decade, I can personally vouch that these are not mere statistics but a stark reality in many of our organisations today. A majority of the clients has at least one of these 3 (efficacy, attrition and productivity) as their basic concern. One of the most simple and least explored solutions to all three concerns is to conduct frequent training for your employees. Annual training at the beginning of the year often sets the course for the rest of the year. This would not just help you retain your tenured employees but also ensure that your new employees are well-trained and have one less reason to part ways. It also acts as an excellent opportunity for you to streamline or refresh your company culture. Overall, annual training goes beyond productivity boost and highlights skill gaps and potential risks in your work processes. 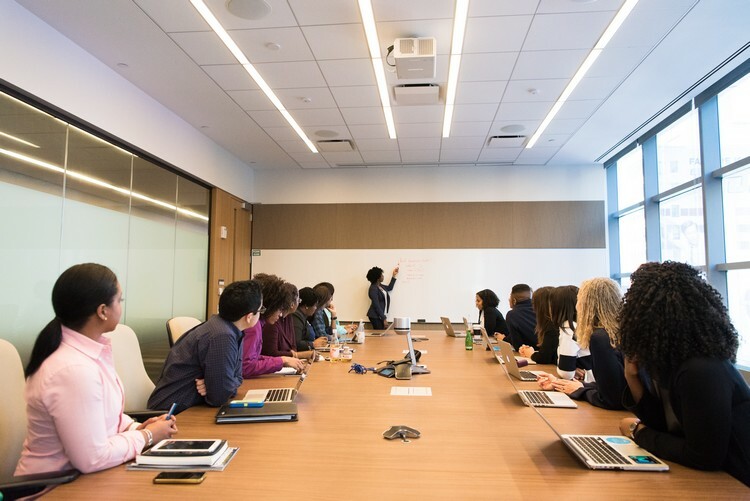 The work ethics and employee code of conduct are often mentioned in the employee handbook, and may or may not be covered during the employee induction. Most of the times employee learns about it the wrong way – either committing a mistake and getting reprimanded or by observing another colleague in that situation. Until that point, the new joinee is oblivious of the work ethics followed in your organisation. Many times, even the most seasoned employees can forget that listening to loud music on headphones while the desk phone is buzzing is a bad idea. An Ethical Ad show helps you in this case. Here, you can ask groups of employees to enact various acceptable and unacceptable behaviours in the form of an ad they would see online. Enacting such behaviouors will not just make it a fun way to learn but will also increase the retention of these norms. Impact Assessment: Over a period of time, you will see a drastic drop in the disciplinary issues that come up and also have a tight grip on spreading the right company culture. We all know the value of resources in our organisation. Be in material or human. Both are equally and highly important. Hence, it is essential that at least once every year you conduct safety audits and fire drills for your employees. Having it twice a year would be an ideal scenario you can try to achieve. Similarly, the physical, mental and emotional health of your organisation also plays an important role in how successful your business is going to be. An actions of an irritated customer service agent or a depressed media professional may only lead to loss of revenue and resource irrespective of their academic qualification or past performance history. Arrange physical and mental wellness camps or workshops every 6 months to ensure that health of employees doesn’t hamper their productivity. For instance, one of our client has employees that work in a night shift, they organised a workshop to help them deal with inconsistent sleep patterns. The employees really appreciated the initiative. Also, have a special focus on employee satisfaction quotient. This would mean everything from how the employee feels about the people, culture, project to the very chair, desk and system he is using. Remember, it doesn’t take long for an uncomfortable employee to be an unproductive one. Impact Assessment: Over a period of time, you will see a drop in attrition rates and improved performance of employees. In a lot of companies that I interact, I see a majority of them investing in giving employees a wonderful experience by organising games, having off-sites, picnics, treks, and even incentives. These are all really commendable ways to keep an employee interested but in the massive gamut of employee engagement, companies or the HR teams often tend to overlook the basic grievance handling of these employees. Yes, sometimes employees just want to vent out or express their opinions but a lot many times, a closure is much more needed. For instance, a faulty coffee machine grievance should have a closure in the form of either repairing it or replacing it. Just saying a “Yeah, I know. I hope the housekeeping team fixes it soon” only builds up the frustration. Getting closure on simple matters would help you earn employee loyalty in a big way. A whistleblowers policy is helpful when the employee has to report something anonymously. However, there needs to be a clear distinction as to which ones come under grievance handling committee and ones that can be tagged under whistleblowers policy. Here again, awareness of the ethical norms discussed above help the employees to flag any related concerns in an anonymous way. For instance, someone using the office network to download movies and thereby slowing down the entire network is a valid whistleblowing concern and can be done anonymously. Impact Assessment: Both of these also provide you with insight on the culture of your organisation based on the types of grievances that are being reported on a regular basis and the closures provided for each of them. You will see an improved work culture. There are many more training modules that you could consider having for your teams. You can even conduct train the trainer programs for those in the leadership positions and senior level in your organisations. Having them trained at the start of the year, they could in-turn conduct regular training for the new joinees and even refresher programs for the existing employees on a recurring basis. You can even spread the activity over the year with every month focussing on one training module like compliance, internet security, POSH, social media usage, soft skills and so on. The more personal and employee-centric you make this; the better would be the outcome of your productivity. Yellow Spark can help you plan and organise the training for your entire organisation. You can also benefit from our various case-studies, hands-on activities, documented training modules and lot more. Write to us at contact@yellowspark.in for more details. Author Profile: Deepam Yogi is an adventurer at heart, socially conscious in her gut and professionally a strategic consultant. She co-founded Yellow Spark to support organisations to build workplaces that people love being a part of. Deepam describes herself as a shy yet opinionated writer and firmly believes that most answers to complex issues lie in simple communication.